Geoffrey Ye Li received his B.S.E. and M.S.E. degrees in 1983 and 1986, respectively, from the Department of Wireless Engineering, Nanjing Institute of Technology, Nanjing, China, and his Ph.D. degree in 1994 from the Department of Electrical Engineering, Auburn University, Alabama. He was a Teaching Assistant and then a Lecturer with Southeast University, Nanjing, China, from 1986 to 1991, a Research and Teaching Assistant with Auburn University, Alabama, from 1991 to 1994, and a Post-Doctoral Research Associate with the University of Maryland at College Park, Maryland, from 1994 to 1996. He was with AT&T Labs – Research at Red Bank, New Jersey, as a Senior and then a Principal Technical Staff Member from 1996 to 2000. Since 2000, he has been with the School of Electrical and Computer Engineering at Georgia Institute of Technology as an Associate and then a Full Professor. He is also holding the Cheung Kong Scholar title at the University of Electronic Science and Technology of China since March 2006. 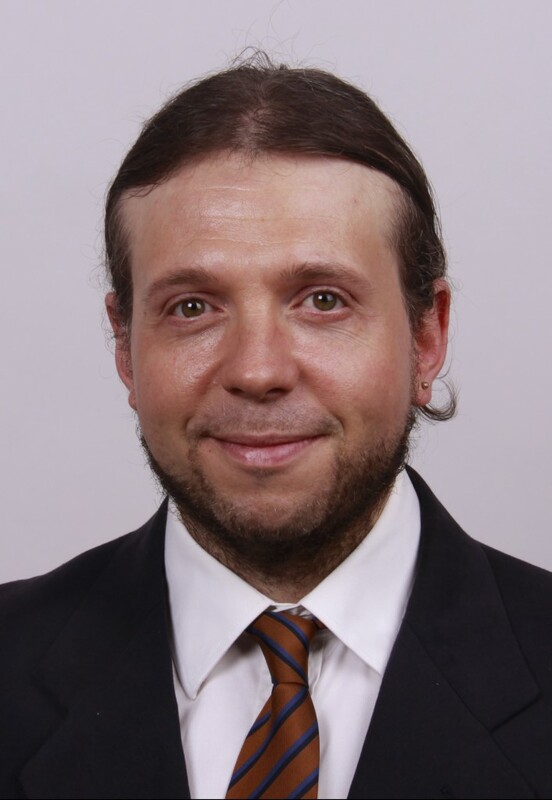 His general research interests include statistical signal processing and telecommunications, with emphasis on OFDM and MIMO techniques, cross-layer optimization, and signal processing issues in cognitive radios. In these areas, he has published over 200 papers in refereed journals or conferences and two books, 20 of which are with over 100 Google citations. He has over 20 granted patents granted. He once served or is currently serving as an editor, a member of editorial board, and a guest editor for over 10 technical journals. He organized and chaired many international conferences, including technical program vice-chair of IEEE ICC’03 and cochair of IEEE SPARC’11. He has been awarded an IEEE Fellow for his contributions to signal processing for wireless communications since 2006, selected as a Distinguished Lecturer for 2009-2010 by IEEE Communications Society, and won 2010 IEEE Communications Society Stephen O. Rice Prize Paper Award in the field of communications theory. Abstract: To satisfy the increasing demand of high data-rate services, provide better user experience, and alleviate the huge infrastructure investment of operators, device-to-device (D2D) communications have being considered as one of the key techniques in the 5G wireless networks. With D2D communications, proximity users in a cellular network can communicate directly to each other without going through the base station (BS). It can potentially increase spectral-efficiency (SE) and device energy-efficiency (EE) of communications. However, D2D communications may generate interference to the existing cellular network if not designed properly. Therefore, interference management is one of the most challenging and important issues in D2D communications. This talk will focus on interference management in D2D communications including two parts: quality-of-service (QoS) aware admission control and SE/EE based mode selection. Cross-layer optimization and concave-convex procedures (CCCP) are exploited to solve the two optimization problems. Leonardo Goratti received his PhD degree in Wireless Communications in 2011 from the University of Oulu, Finland and his M.Sc. in Telecommunications engineering in 2002 from the University of Firenze, Italy. From 2003 until 2010, he worked with the Centre for Wireless Communications (CWC) Oulu, Finland, first as a developer and then as a PhD student. His research interests cover Medium Access Control (MAC) protocols for wireless personal/body area networks and wireless sensor networks, as well as routing protocols for sensor networks. His research interests cover also UWB transmission technology and 60 GHz communications. From 2010 until 2013 he worked on MAC protocols for cognitive radio networks and spectrum sharing techniques for public safety communications at the European funded Joint Research Centre (JRC) of Ispra, Italy. Recently he joined the Research Centre CREATE-NET based in Trento, Italy, where he currently works on LTE-based D2D communications and relaying techniques in the context of scenarios for public safety. Abstract: The surge of mobile data traffic is nowadays a fact as shown by the pervasive penetration worldwide of smartphones and other technological gadgets. Besides the commercial domain, Public Safety (PS) is a crucial growing field for communications. While commercial networks avail the benefits of cutting edge technologies, PS networks (PSNs) lag far behind still, thus increasing the risk that first responders rely on surpassed technologies. To cover this gap, the UMTS Long Term Evolution (LTE) and its advanced version LTE-A have been selected as the candidates, further enriched with new features that make them a suitable choice for complex scenarios. One new feature that appeared in past years is Device-to-Device (D2D) communications. User equipments can communicate directly without resorting to the base station, providing an alternative to Direct Mode in TETRA networks for example. D2D promises several advantages such as local traffic offloading, reduced latency, increased throughput and the possibility to restore connectivity in life threatening PS scenarios, just to name a few. Despite the potential advantages of D2D, several challenges remain unsolved. They encompass when and how D2D should be allowed or denied and the necessary evaluation of the aggregate interference in PSNs. When transported to the commercial domain, it is relevant to understand how carriers can bill D2D traffic. This talk delves into the description of the techniques leveraging D2D communications taking a networking perspective, with the aim to review existing challenges and solutions, as well as providing a glimpse of future trends on this topic. Robert W. Heath Jr. Robert W. Heath Jr. received the B.S. and M.S. degrees from the University of Virginia, Charlottesville, VA, in 1996 and 1997 respectively, and the Ph.D. from Stanford University, Stanford, CA, in 2002, all in electrical engineering. From 1998 to 2001, he was a Senior Member of the Technical Staff then a Senior Consultant at Iospan Wireless Inc, San Jose, CA where he worked on the design and implementation of the physical and link layers of the first commercial MIMO-OFDM communication system. 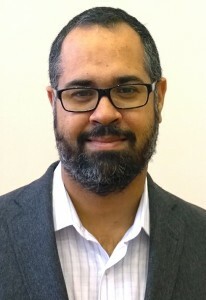 Since January 2002, he has been with the Department of Electrical and Computer Engineering at The University of Texas at Austin where he is a Cullen Trust for Higher Education Endowed Professor, and is Director of the Wireless Networking and Communications Group. 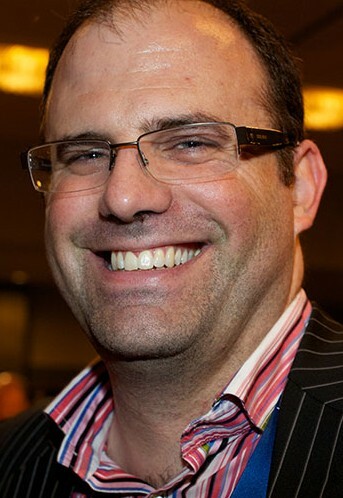 He is also President and CEO of MIMO Wireless Inc. and Chief Innovation Officer at Kuma Signals LLC. 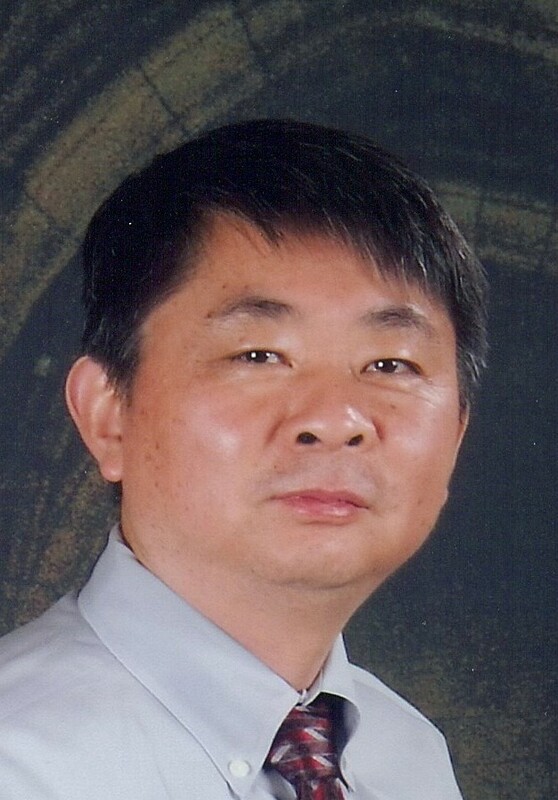 His research interests include several aspects of wireless communication and signal processing: limited feedback techniques, multihop networking, multiuser and multicell MIMO, interference alignment, adaptive video transmission, manifold signal processing, and millimeter wave communication techniques. He is a co-author of the book “Millimeter Wave Wireless Communications” published by Prentice Hall in 2014. Dr. Heath has been an Editor for the IEEE Transactions on Communication, an Associate Editor for the IEEE Transactions on Vehicular Technology, and lead guest editor for an IEEE Journal on Selected Areas in Communications special issue on limited feedback communication, and lead guest editor for an IEEE Journal on Selected Topics in Signal Processing special issue on Heterogenous Networks. He currently serves on the steering committee for the IEEE Transactions on Wireless Communications. He was a member of the Signal Processing for Communications Technical Committee in the IEEE Signal Processing Society and is a former Chair of the IEEE COMSOC Communications Technical Theory Committee. He was a technical co-chair for the 2007 Fall Vehicular Technology Conference, general chair of the 2008 Communication Theory Workshop, general co-chair, technical co-chair and co-organizer of the 2009 IEEE Signal Processing for Wireless Communications Workshop, local co-organizer for the 2009 IEEE CAMSAP Conference, technical co-chair for the 2010 IEEE International Symposium on Information Theory, the technical chair for the 2011 Asilomar Conference on Signals, Systems, and Computers, general chair for the 2013 Asilomar Conference on Signals, Systems, and Computers, founding general co-chair for the 2013 IEEE GlobalSIP conference, and was technical co-chair for the 2014 IEEE GLOBECOM conference. Dr. Heath was a co-author of best student paper awards at IEEE VTC 2006 Spring, WPMC 2006, IEEE GLOBECOM 2006, IEEE VTC 2007 Spring, and IEEE RWS 2009, as well as co-recipient of the Grand Prize in the 2008 WinTech WinCool Demo Contest. He was co-recipient of the 2010 and 2013 EURASIP Journal on Wireless Communications and Networking best paper awards, the 2012 Signal Processing Magazine best paper award, a 2013 Signal Processing Society best paper award, the 2014 EURASIP Journal on Advances in Signal Processing best paper award, and the 2014 Journal of Communications and Networks best paper award. He was a 2003 Frontiers in Education New Faculty Fellow. He is also a licensed Amateur Radio Operator, a registered Professional Engineer in Texas, and a Fellow of the IEEE. Abstract: Device-to-device (D2D) communication among wearable electronics has gathered recent attention thanks to the availability of many fitness and infotainment gadgets. Such devices form a network around the human body and may operate independent of wearable networks of other users. In a crowded indoor environment, many such networks may be present at close range, making D2D communication challenging due to significant interference. In this talk, I review the challenges in wearable networking. Then I explore the potential of millimeter wave (mmWave) frequencies for D2D communication in wearable networks to harness gigabits per second data rates. The unique and key propagation characteristics of mmWave frequencies are captured in the interference analysis when a finite number of users are located in fixed positions. Cássio B. Ribeiro received the Electronics Eng. degree from the Federal University of Rio de Janeiro (UFRJ), Rio de Janeiro, Brazil, in 2000, the M.Sc. degree in electrical engineering from COPPE/UFRJ in 2002, and the D.Sc. degree at COPPE/UFRJ in 2007. He received the D.Sc. (Tech.) degree in signal processing for communications from Helsinki University of Technology, Helsinki, Finland in 2008. He joined Nokia in 2007, where he is currently a Research Leader. His research interests include wireless communications and cellular systems, in particular LTE and its evolution, as well as radio resource management, device-to-device communications, multiple-antenna systems, and statistical signal processing. Dr. Ribeiro has co-authored more than 40 journal and conference papers, and received the best paper award in IEEE PIMRC 2005. He is a co-inventor in more than 50 pending patents. Since 2014 he has been a delegate for Nokia in RAN1 Working Group in 3GPP. Abstract: 3GPP Long Term Evolution (LTE) is the key technology for 4G wireless cellular communications with 360 launched LTE networks around the world so far. However, the LTE architecture has been based on the cellular operator model, without possibility of direct communication between devices. Such a mode of interaction is required for certain applications, most notably in Public Safety communications. In order to fill this gap, 3GPP has recently defined direct device-to-device (D2D) communication support for LTE, denoted as ProSe (Proximity Service). LTE D2D/ProSe addresses basic Public Safety requirements, but also includes commercial applications such as always-on discovery of nearby devices. In this keynote talk, we will discuss the main drivers for standardizing D2D in LTE and present an overview of the use cases supported by the current standard. We will also provide an overview of the LTE D2D technology itself, and how it integrates within the LTE cellular communications framework. Finally, we will also present an outlook on future enhancements, which includes topics that are already on the agenda of LTE Release 13 standardization, as well as incipient topics, such as vehicle-to-vehicle communications through 3GPP LTE technologies.